This is a strange place. It's above street level, on Rundle Mall. 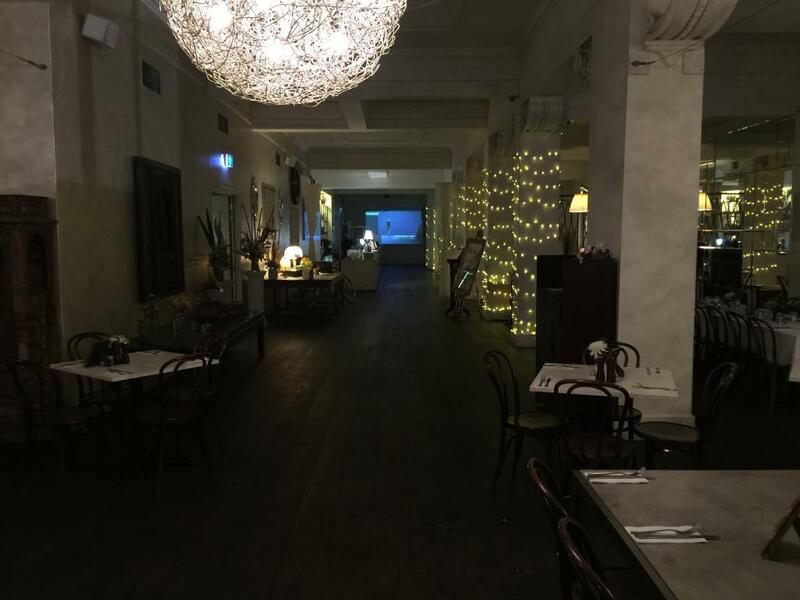 The restaurant is a cavernous room, with dark wood floors, and antique furniture. 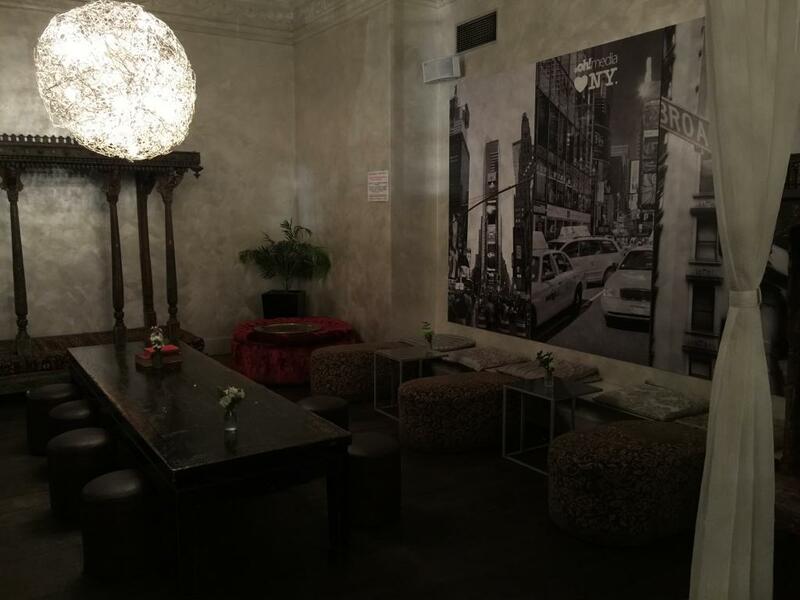 There are regular tables, but also leather couches, chiffon curtains, and a low table with stools, reminiscent of something from the Middle East. The place is mostly dimly-lit, but I find an 8-person table with a brighter light, more suited to photography. There's no table service, but a sign instructs me to take a menu, and order at the very fancy bar. This place is only nominally a restaurant, with a large amount of bar snacks, but only one dessert. 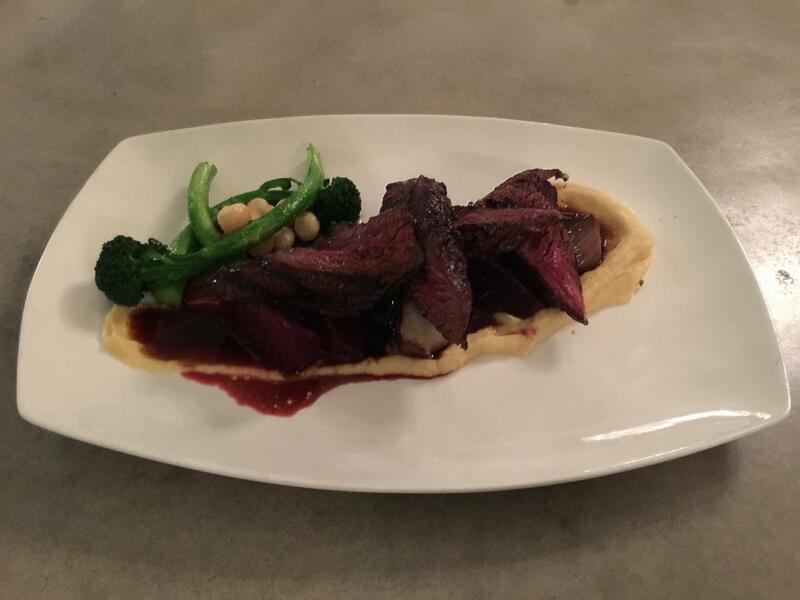 Parsnip purée, broccolini, roast fennel, beetroot, toasted macadamia & jus. I confirm that this is actually a fancy dessert, not the product of a box with "White Wings" written on it. :) The chocolate is apparently Callebeut. This is a bit sloppy, but with a slightly caky texture. It's unusual, but melts in my mouth. There's no unpleasant "cocoa" taste here, or lack of sweetness. 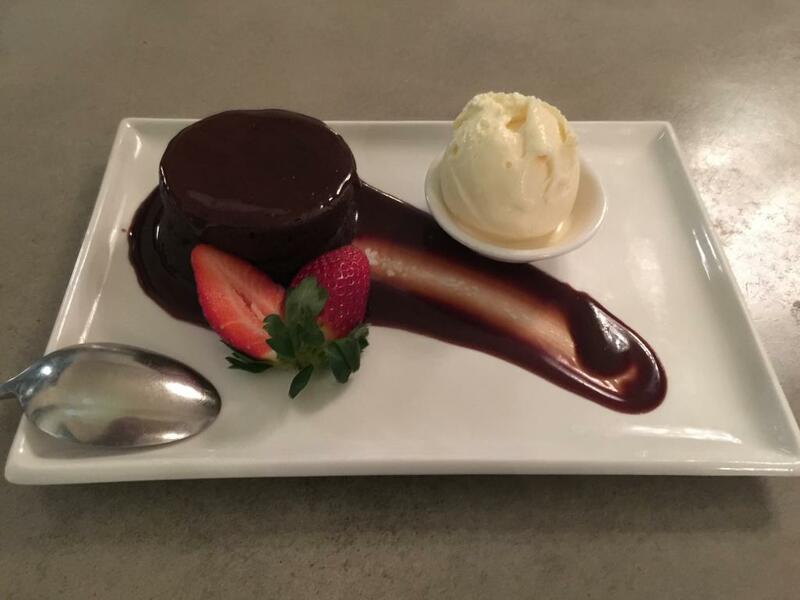 Chocolate puddings are never amazing, but this is about as good as they get.